Posted byadmin	 25. February 2016 Leave a comment on Weight Loss Vs Fat Loss – Yes There is a Difference! In order to lose weight, your body must burn more calories than it takes in, but keep in mind that your body needs calories for energy and when you exercise your body needs even more calories. Before I talk about energy, the first thing you must understand is that losing weight and losing fat is not the same thing. Just because you lose weight, does not mean you lose fat, and just because you lose fat, does not mean you lose weight. When people talk about losing weight, what the really want to do is lose the excess fat on their body and obtain an attractive figure. When you eat, the body uses most of the calories for energy. If you eat more calories than the body uses, it will get stored as fat. If you do not consume enough calories per day you will lose weight, but you will also lose energy. When you do not consume enough energy (calories) for your body, it will start using up your energy stores to make up for the energy deficiency. Unfortunately, the energy stores used is not your stored fat, but instead it’s protein and carbohydrates (carbs) that will supply most of the energy (stored fat makes up a very small percentage). Your body will take the protein and carbohydrates from your muscle cells; causing your muscle mass to reduce (say goodby to that toned attractive look) which forces your metabolism to decrease (a low metabolism = slow or no fat burning). When this happens your body requires less energy to maintain its new lower body weight (remember the body weight is lower because you loss muscle), which is why your body conserves energy by slowing down the metabolism. In other words, the body has adapted to the new lower energy (calorie) intake which means that you will no longer continue to lose weight. Keep in mind that the weight you had lost in the first place was mostly water weight and you will eventually gain it back in the form of fat, not muscle (in order to get your muscle mass back to the way it was before, you have to work on rebuilding it). When carbohydrates and protein that are already in your body are used as the energy source, your body will lose water weight because both carbohydrates and protein hold water in the cells. In essence, you are dehydrating yourself to lose weight. So yes the scale will go down, but approximately 75% (if not more) of it is water instead of fat. And just so you know, exercising while consuming a small calorie intake just makes the situation worse. This is because when you exercise, you start burning off more energy and the more you workout, the more energy your body needs. I already told you above where the energy comes from, and if you do not give your body the energy it needs, it will just feed on your muscles even quicker now that you are exercising. So eat more food! In addition to this, when you cut down too much on your calorie intake, your body will start storing calories because it doesn’t know when you will eat again. The calories that are stored will be stored as fat. So in other words, when your body is storing energy, it’s basically storing more fat. To summarize my point: Not eating enough calories results in muscle loss, dehydration, slower fat burning, and your body will always adapt to a lower calorie intake. Bottom Line: if you can’t maintain that lower calorie intake for the rest of your life, you will gain your weight back when you get tired of starving yourself! To lose weight properly (burning fat) you must increase your metabolism (weight training) and your need for oxygen (aerobics) while eating enough calories each day (nutritious diet) to give you energy and maintain the protein in your muscles because protein helps build muscles, which indirectly burns fat. This brings up another good point: When you build muscle your weight will increase because your muscles are made up of mostly water, but your body fat percentage will decrease because building muscles increase your metabolism (in other words, muscles way more than fat, but take up less space than fat). So keep in mind that losing body fat can’t be measured by a scale; use a measuring tape and also look at yourself in the mirror, and then you will see the true results. One of the best ways to know if you are losing more body fat than water is by using a body fat analyzer. 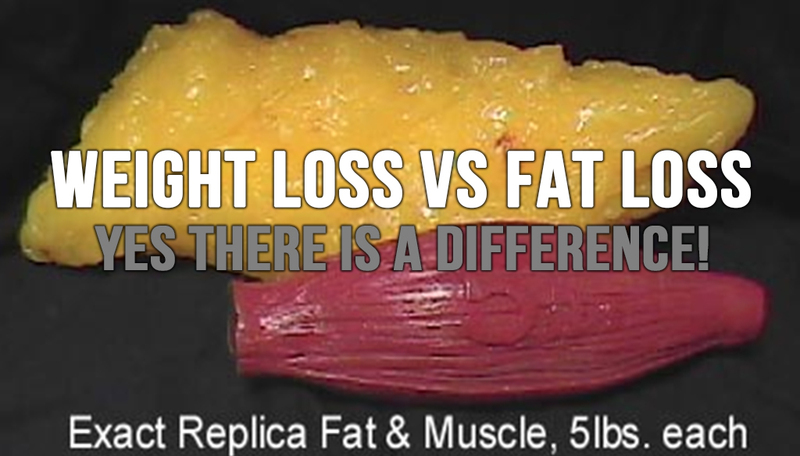 Make sure that you focus on fat loss not weight loss. Your goal should be to lose weight by burning fat, not losing water from your muscles. Remember this when you choose your weight loss program.